My dog caught a rabbit in my local woods, it has a little crusting around the eyes suggesting that Myxi is coming back (thank god we are overrun with the beggars). 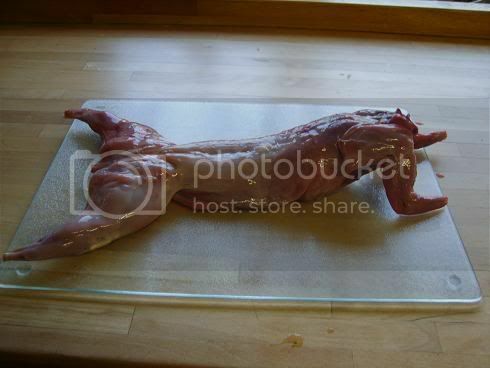 Is this rabbit safe to eat? I paunched it about an hour after catching and it doesn't look too unappetising. Anybody got any ideas? It's safe to eat myxied rabbits. I was hoping you would say that, any good recipes? As Madness would say " Don't do that ! Do this . " The other night my son went out with the air rifle and potted two nice young rabbits using the lamp. 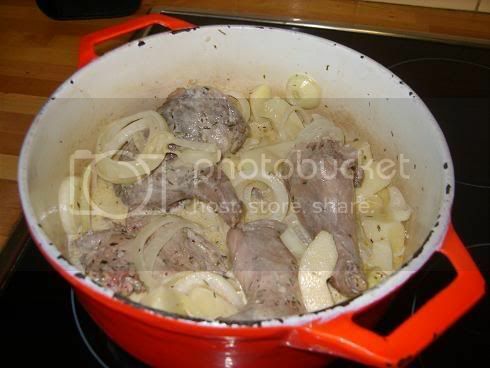 Tonight I'm going to prepare a nice recipe of marinated rabbit with apples. You need the following for the marinade. quarter of a pint of white wine. one tbs of olive oil. three green apples, sliced and cored. Combine all the marinade ingredients. 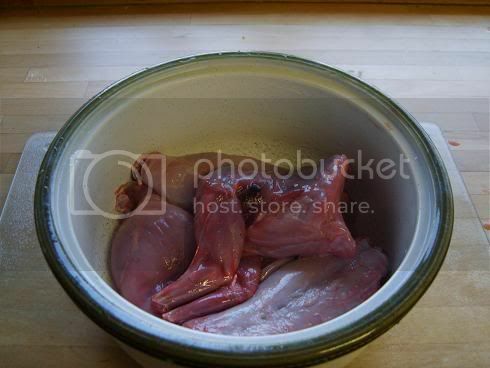 Cut the rabbits into pieces and marinate in the refrigerator overnight. 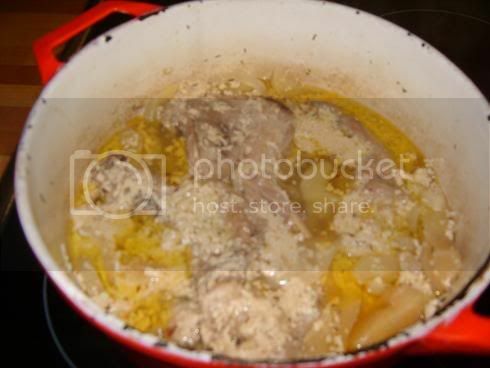 Dry the rabbit pieces and brown lightly in the butter. Remove and add the apples and onions and cook for a few minutes. 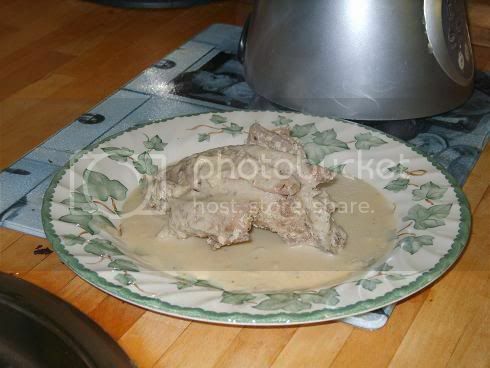 Put the rabbit back into the pan and add the cream. Cover and cook very slowly on the hob for about one and a half or until tender. 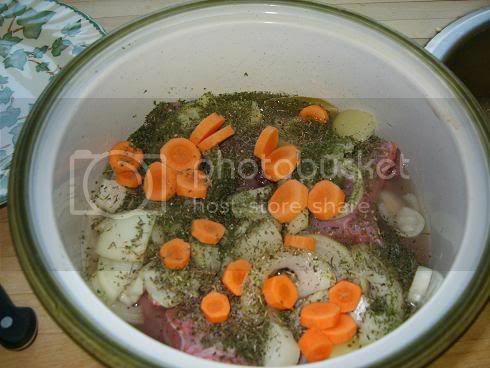 Remove the meat and keep warm. Put the sauce through a liquidiser with the lemon juice. Reheat the sauce and pour over the rabbit. 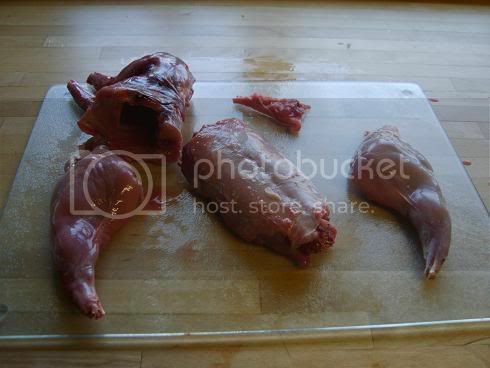 Tonight I'm going to cut up the rabbit and marinate it. 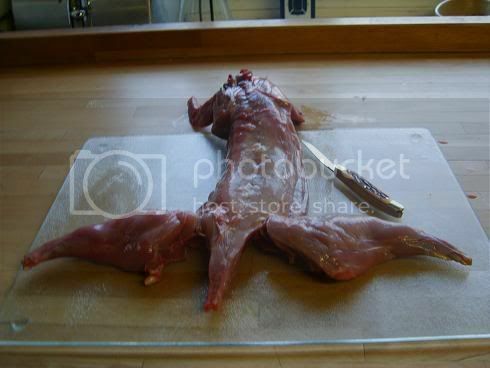 Step two, is cook the rabbit. The finished article was well worth the wait. 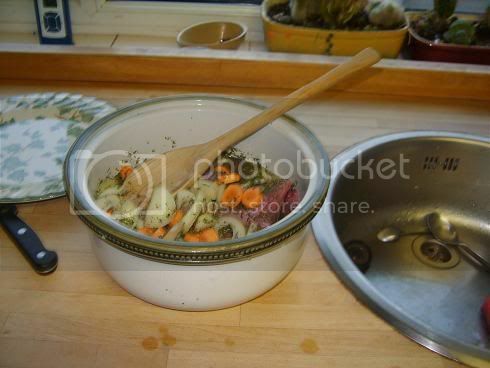 Here are a few pictures of it while cooking. The resulting sauce was nice and fruity. After an hour and half of gentle simmering. 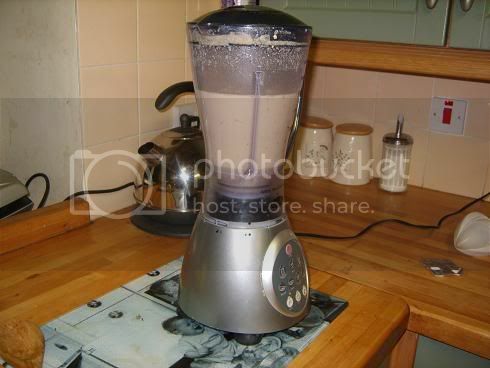 The apples, onions and cream were liquidised and formed the sauce. The finished article. Well worth the effort and one that I would do again.